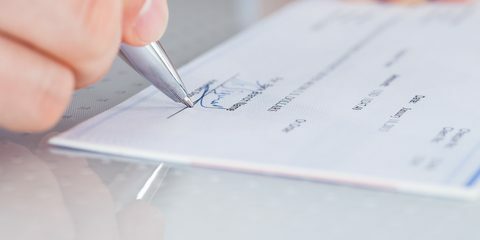 Whether you are terminated, laid off, or resign voluntarily from your job, your employer must provide you with your final wages in a timely manner. If your employer does not pay your final wages in full and on time, you can seek penalties in addition to the actual wages owed. You may also be able to recover attorney’s fees, costs, and interest if you prevail on an action for unpaid wages. California’s Labor Code lays out an employer’s obligations with respect to the payment of final wages as well as the penalties for failing to comply. The Labor Code provides for penalties for failing to pay an employee who is terminated or who resigns. An employer who “willfully fails to pay” a former employee must, as a penalty, continue to pay the employee a day of pay at the employee’s regular rate of pay for each day that the employee has not been fully paid, up to 30 days. (Labor Code § 203.) These “waiting time” penalties accrue over calendar days, not business days. So, even if you only worked Monday to Friday, the waiting time penalties would accrue on weekend days as well until 30 days are reached or full payment is made. To recover for unpaid wages and penalties, an employee can bring a claim before the labor commission or in court. Of interest, if an employee has a claim for unpaid wages (for example, failure to pay overtime), these waiting time penalties will begin accruing upon termination, even if the employer provided the employee their “final paycheck.” Thus, these penalties are frequently at issue in cases involving wage and hour violations against former employers. This post was co-authored by Joseph Hernandez, Jr. I didn't know it was possible to have such a caring and compassionate attorney. From the moment I met Ramit Mizrahi she was was supportive and professional. She counseled me in areas I was not familiar with in regards to employment law and worked with me to get my case settled to my satisfaction out of court. I hope I never have to hire an employment attorney again but if I do there is no other attorney I would chose.